KevinHQ - Do I really need a VPN? Recently, I often notice some scams e-mail on my spam box. That scam e-mail is claiming that they know my old password I've used several years ago. In fact, I never used that password anymore ever since I've used a password manager. Then, I remembered the old question to myself again, some years ago. Do I really need VPN? Which can be the same question for everyone like me, including you. VPN won't secure your data on the other end. My background is a full stack web developer, but more focused on the back-end so I know a little bit about the networks. Beside, I also studied computer science, where there are some lessons about VPN. From the picture above, you'll know that VPN works as its name: "Virtual Private Network". It works by making your way to internet a private one so no one else can take a look on what you sent or what you received on the way. Do remember it: on the way. That means, if the other end (the server of the site you visited) had been breached, hacked, and their data is exposed, there's still a risk that your data saved there will be exposed too. This looks like my own case where I finally found out how my old password that I've never used anymore, get exposed to scammers. Using my password manager service, I know that some old sites I've registered had been hacked and their data was breached around 2013 until 2015. Even if I used VPN at at that time to register on those hacked sites, my old password will still be exposed to those scammers because it simply had nothing to do with how VPN works. Luckily, I never used that exposed old password. But imagine if another person is on my position, and they used the same password for all of their online accounts, including their bank account. It can get much worse. That is, if you're looking for data security saved on the other end, you don't need a VPN. You need a secure, complicated, long, and different password on each of your online account, e-mails, bank account etc. And I bet, just like me, you won't be able to handle such hurdle to remember all of those passwords. This is where the password manager came in. But put some grains and salts to my advise above. Don't rely on completely on the password manager. Think creatively, use your own strategy, combined it with your password manager usage. VPN gave you privacy. Really? Yes, third parties including your ISP won't be able to sniff on which sites you're visiting, what apps you're using, what server you accessed, or what's your real IP address, and location. But... your ISP will still know that you're using a VPN. And the other end, those sites you visited, the server you accessed will still know too, that you're using VPN. It's true that some of VPN providers kept their no-logs-kept policy but the others did not. In case the authority felt they need to do investigation, they will still able to ask your VPN provider for your data --- that is, if your VPN kept their no-logs-kept policy, you're likely to be safe. However, do remember this: there's always a trace on the networks. If you're a freelancer who's using upWork, do keep in mind that some of your fellow freelancers had their accounts locked because of the IP address inconsistency. You can do more on Google and just search for: Can I use VPN for upWork. There are many other discussions on their community forum. Although upWork did not clearly said they'll lock out your account, the fact that some of your fellow freelancers are going through those hurdles, it may not be worth to pay VPN if you're freelancing with upWork service. Another example of the site that's likely freezing your account is PayPal. When I was visiting HongKong for vacation, and I am trying to access my own PayPal account, suddenly PayPal is blocking me. They're asking me to enter the codes they sent through SMS on my phone. Luckily at that time, I don't activate my phone's provider roaming service and I can't access my PayPal account until I got back to home and unlock it. There's likely that more and more major sites will apply such security precaution when you're accessing your account with them, from different IP address --- which will happen when you're using VPN. Even if they kept their no-logs policy, their staff still had chance to see your online activity before the logs are removed. However, it's true that at some points, VPN gave you better privacy compared to those who're not using VPN. Just make sure you had fully trusted your VPN provider, and make sure they are worth your trust. 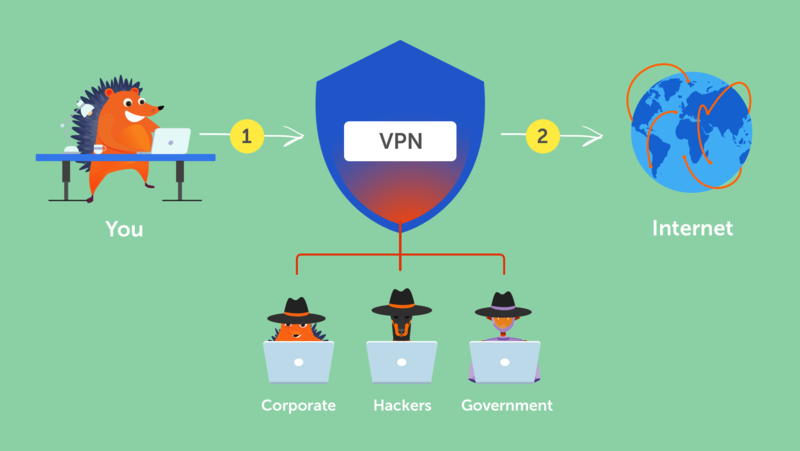 So, do you really need a VPN? Security for your data on the way. Yes. This is especially when you often get online on a public wifi networks on public area. Security for your data on the other end. Not really. As explained above. It won't protect your data on the other end if this other end is hacked. Use password manager instead of VPN for this. Privacy. Yes. Just make sure your VPN providers is worth your trust. Hurdles on accessing major site. Yes, VPN will make you going through those hurdles. In fact, this is my number one consideration that hold me to buy a service from privateinternetaccess.com. There's workaround for this by turning the VPN on and off but I am not sure if I won't forget to turn it off when I opened up my PayPal account. Accessing the local content that's available to certain country. For example if you're living in Europe but want to access some of Netflix shows that's only available in United States. Then, the VPN that provided the server in States and allow you to access Netflix, will be the best one for you. Unblocking the access to a site. Some countries restricted or even banned completely some major sites like Google, Facebook, or Reddit. If it happened that you're living on those countries, VPN will help you. But a decent free proxy will also help you out with this. Accessing the internal network of the company you're working on when you're out of office. This most likely happened to those who choose to work remotely. Blocking ads on the game you played on your phone. Since ad-block can't help you to block those annoying ads when you're playing the game on your phone, VPN is your way to go. Just make sure with the VPN provider that they are really able to block those ads. There is no one conclusion that works for all of people. You need to look into your own situation after reading those explanations above and decide it yourself. That is, if you satisfied with your first months, you can easily upgrade to yearly plan to get cheaper cost for each month. Or if you did not, just halted your subscription for the next month and look for another VPN provider.